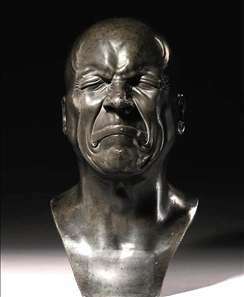 An Austrian sculptor, born in southwestern Germany, in the Swabian region of Alp, Messerschmidt grew up in the Munich home of his uncle, the sculptor Johann Baptist Straub, who became his first master. He spent two years in Graz, in the workshop of his other maternal uncle, the sculptor Philipp Jacob Straub. At the end of 1755 he matriculated at the Viennese Academy of Fine Arts, and became a pupil of Jacob Schletterer. Graduated, he got work at the imperial arms collection. Here, in the building s salon in 1760-63 he made his first known works of art, the bronze busts of the imperial couple and reliefs representing the heir of the crown and his wife. With these works he joined the Late Baroque art of courtly representation, which was under the determining influence of Balthasar Ferdinand Moll. To this trend belong two other, larger than lifesize tin statues representing the imperial couple, commissioned by Maria Theresia and executed between 1764 and 1766. Besides some other portraits he also made works with a religious subject. A number of statues commissioned by the Princess of Savoy have survived as well. 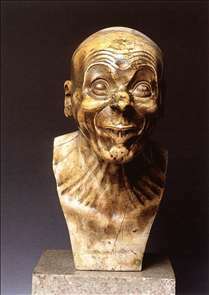 The Baroque period of his oeuvre ended in 1769 with a bust of the court physician Gerard van Szuieten, commissioned by the Empress. At the same time his first early Neo-Classic works appeared, made - characteristically - for the Academy. To these and later works he applied many experiences gained in 1765 during a study trip to Rome. 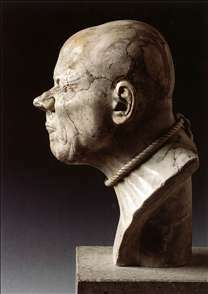 One of these early, severe heads from the years 1769-70, influenced by Roman republican portraits, represents the well-known doctor Franz Anton Messmer. 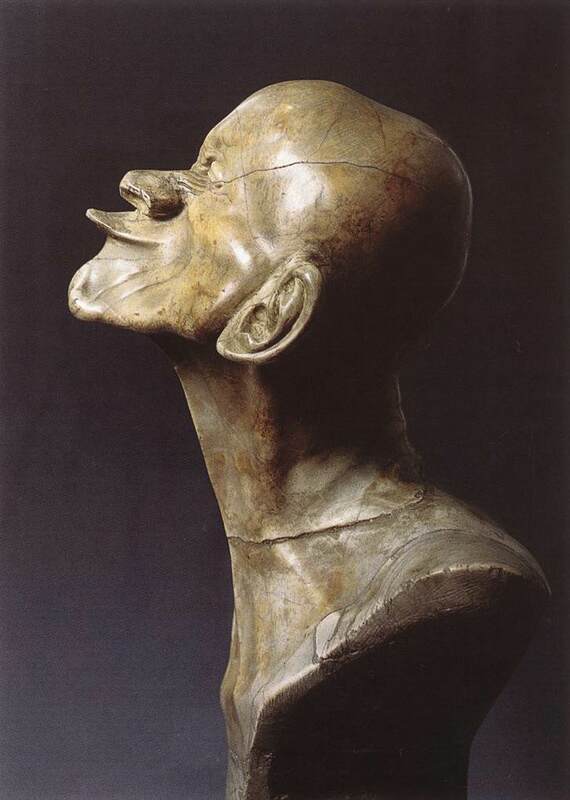 At about the same time, in 1770-72 Messerschmidt began to work on his so-called character heads, obviously connected with certain paranoid ideas and hallucinations from which, at the beginning of the seventies, the master began to suffer. 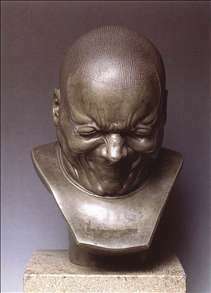 Messerschmidt found himself increasingly at odds with his milieu. His situation worsened to such an extent, that in 1774, when he applied for the newly-vacant office of a leading professor at the Academy, where he had been teaching since 1769, instead of getting it he was expelled from teaching. Embittered he left Vienna, moved to his native village, Wiesensteig, and from there in the same year, following an invitation, to Munich. Here he waited two years for a promised commission and for a permanent employment at the Court. 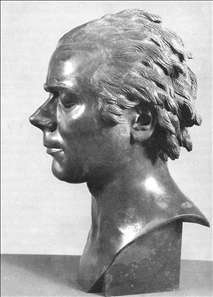 In 1777 he went to Bratislava where his brother, Johann Adam worked as a sculptor. Here he spent the last six years of his life almost in retirement, on the outskirts of the town. 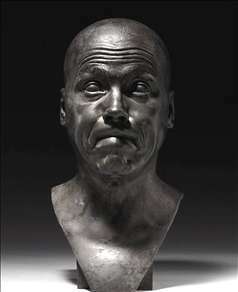 He dedicated himself primarily to his character heads. 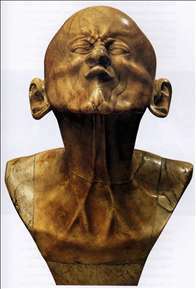 See more details about "Character Head: The Gentle, Quiet Sleep"
See more details about "Character Head: The Arch-Evil"
See more details about "Character Head: The Hanged"
See more details about "Character Head: The Lecher"
See more details about "Character Head: The Beaked"
See more details about "Character Head: Ill Humoured Man"
See more details about "Character Head: Incapable Bassoonist"